How SBAC online assessment programs play a critical role in future learning? "How SBAC online assessment programs play a critical role in future learning?" Smarter Balanced Assessment Consortium (SBAC) and the Partnership for Assessment of Readiness for College and Careers (PARCC) are the primary consortia in development of online assessments, focusing on transforming Industrial Age school systems to Information Age school systems, providing all students greater access to the content, resources and support. Smarter balanced online assessment tests are an ongoing educational trend including low cost mobile devices, blended learning and development of quality digital content to name a few. 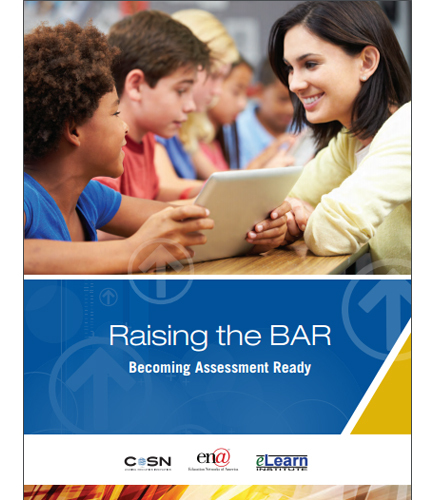 What are the key considerations for becoming smarter balanced assessment ready? Why the education and media are primarily focused on Smarter Balanced Online Assessments and PARCC? What is the purpose and value of online assessment tests? What are the best tools provided by SBAC and PARCC to access overall technology readiness for online assessments? The information, recommendations, checklists and best practices of educators contained in this white paper help will benefit readers in developing and implementing a successful smarter balanced online assessment program.